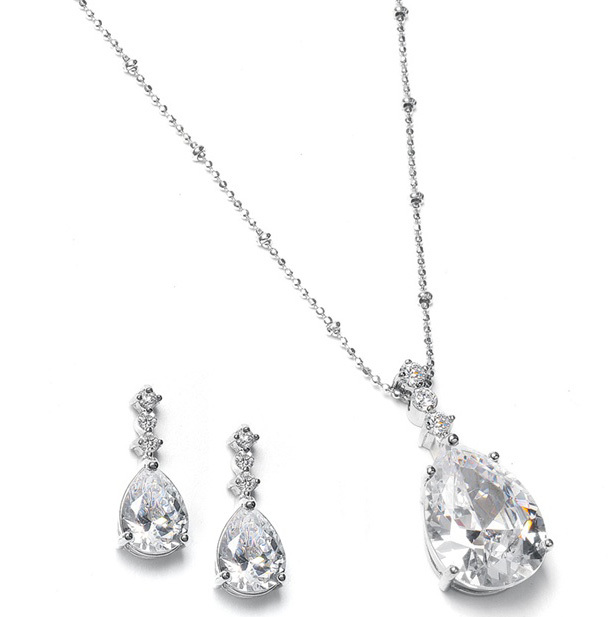 * Mariell's bridal or bridesmaid wedding necklace set features brilliant CZ pear shaped drops plated in silver rhodium. * This charming 16" necklace has a 1 1/4" pear shaped pendant and 3/4" earrings. * This set includes a leatherette store display easel.